One of the most interesting parts of my work is the consulting I do for the SGV (Syndicat Général des Vignerons de la Champagne) which is the body that represents many of the small grower champagnes. 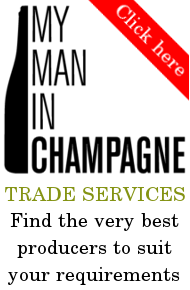 I get to meet all sorts of little-known champagne makers all needing help to improve their marketing and increase their sales. 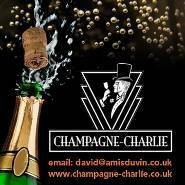 Although there is certainly an increasing interest in Grower Champagnes amongst wine lovers who are looking for something other than the big brands, the issue for the producers is that there are hundreds of them, all trying to find a place in the market for their products. That why I'm always encouraging them to think of what it is that makes their champagnes special enough to stand out from all the others. Many of the smaller producers struggle to find this point of differentiation but every now and then I meet someone who immediately stands out from the crowd and recently I met one who fitted straight into that category. The first thing Alexandre told me which immediately caught my attention is that the juice from this year's harvest still hasn't finished fermenting despite the fact that the picking finished two months ago! I was intrigued. Most champagne makers finish the first alcoholic fermentation about two weeks or so after the end of the harvest. I suggested to Alexandre that he was a month or so behind everyone else to which he replied, very forcefully for someone so young, that 'On the contrary, he is ahead of many champagne producers in the way he thinks of his winemaking'. When he invited me to visit him in the village of Monthelon to find out more, it was an invitation I couldn't refuse and in the video below you can see why. Alexandre Le Brun like so many champenois was born into the champagne business and apart from learning the skill of champagne making from his parents, he may well have inherited a lot of business sense as well. His uncle emigrated to New Zealand in the 1970's and, starting from scratch, has established one of the biggest sparkling wine companies down there – no mean feat for a foreigner in a country that is so well-known for the quality of its wines. Back in Champagne it wasn't until 2008 that Alexandre took over the family business so his first champagnes are only just coming on the market and the scale of production is still tiny. At the moment he has just 3 hectares of vines which is enough to produce about 30,000 bottles of champagne per year. He's a long way from that at the moment, mind you, and currently sells just 12,000 bottles a year, but his champagnes promise to be something really very interesting. By his own admission Alexandre is stubborn and he refuses simply to accept that the way things have been done in the past is necessarily the way they have to be done in future. The ultra-slow fermentation certainly convinced me that it produces much more intense fruit aromas. I have an average palate and nose when it comes to tasting and I usually struggle to pick up the nuances that some people seem to find without any problem, but in Alexandre's wines I had no problem in distinguishing a whole host of aromas: banana, pineapple, pear and more besides. He may be young, but Alexandre Le Brun has some big ambitions and a clear vision of where he's going. A name well worth watching out for in the years to come.